Merry Christmas and a Happy New Year 2000. I will be gone until January 3rd, but hopefully I will return with some new stuff and new ideas. The Asia class and a few more images are new in the Starfleet Museum. Some updates in the ASDB too. Added a few links and banners and made some minor modifications. Thank you to Paul van Garderen who has created a nice 3D model of my R-4 raider design. See his website, Star Trek Avalanche, for much more of his work. Masao has added details to my Asia class. Looks far better than my humble approach. Finally, thanks to Danny Evenwel who has provided a couple of images from the Star Trek World Tour one year ago. His website, Data's Domain, is definitely worth a visit. Several new ship badges added to the Starfleet Museum. Added an about page with general remarks and credits. A new page with scans of ship schematics is ready. Click and enjoy. There are several additions to both the Starfleet Museum and the ASDB. New ship scans from Star Trek: The Magazine and the Star Trek Fact Files are being prepared. I'm also working on an extensive Voyager episode guide and review section which might be ready in a few weeks. There are a couple of new graphics in the Starfleet Museum. Spock's Mind wins the Ex Astris Excellentia Award for December 1999. Congratulations! Added a coarse schematic of the Nova class and updated the Federation fleet chart. Still a few more changes to the ASDB. The first chart to be updated is the shuttle size chart. I have updated the links and made some small additions and corrections. The ASDB has been updated and extended. I am also working on new versions of the fleet charts. 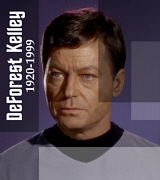 Furthermore, several new scans from the Fact Files and Star Trek: The Magazine will be available this or next week. Several modifications, especially to the index page, are supposed to provide a better distinction of the single sections without abandoning the principle of shortcut links. Although I've been thinking about it for a long time, I don't think the new design is finished yet. I would be grateful for any kind of suggestions. In case you're missing the little people icons, I have removed them because the original author doesn't approve of website use, although my site is probably the least commercial Trek site there is. Thanks to Will's Star Trek Page for bestowing the Mr. Spock Award upon my site. It seems the awards keep coming today. Thanks go to Sektion 31 for the (you guess it) Sektion 31 Award and to Bad Guys of Star Trek (yeah) for the Gold Star Award. The ASDB site is updated. Enjoy a couple of new or improved ship designs. The Starfleet Museum has some new ship emblems. Thanks to Frank, Boris and Dax for suggestions and for pointing out errors in the ship size figures which are now corrected. A few corrections and updates were necessary in the starship articles. There are a few new graphics in the Starfleet Museum. A major update to the starship articles, including two new pages, one about the size of the Akira class and another one compiling and comparing the different ship size figures given in the official literature. The winner of the Ex Astris Excellentia Award for November 1999 is Garak's Star Trek Tailor Shop. Congratulations, Elim! Furthermore I have completed the Ambassador-class page with several renderings by Pedro. It's not exaggerated if I tell you they are a must-see. Ambassador class page updated. Also, two size comparison charts for my ship designs are available. A number of additions (ship emblems) to the Starfleet Museum. The ASDB has been updated. Furthermore, there is a complete account of Voyager shuttle losses in the inconsistencies section. Several changes on the links page and a new article about my favorite trash episode, "Threshold". Visit my "Special Awards" section. Thanks a lot to Andrew Christian for the USS Destiny Captain's Choice Award (this one being real). Thanks to The Nexus for awarding me the Nexus Award. A few small corrections and additions to the Starfleet Museum. 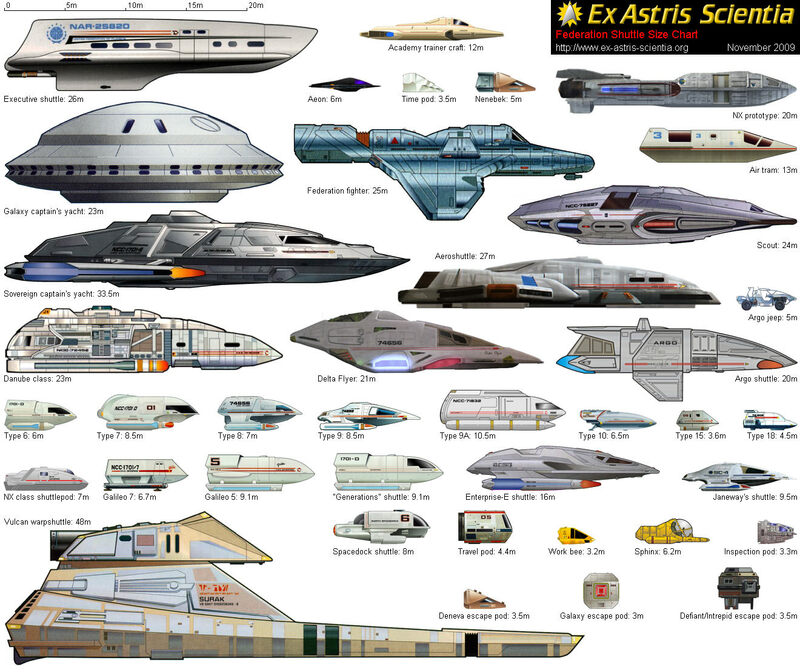 Furthermore, I have added descriptions of the starship design eras to Bernd's Fleet Yards pages. I have won Jeri's Approval Award. Thank you, Mike! Presenting a completely new section with a distinctive design, the Starfleet Museum. Masao Okazaki, who has been a Trek fan for many years, recently contacted me to talk about starship design, and he sent me a number of excellent drawings of "historical" starship classes along with extensive descriptions. I liked them so much that I decided to create web pages for his Starfleet Museum project. This new section is supposed to be frequently updated, so keep visiting. Furthermore, the ASDB section is updated with a few new ship designs. I have been asked to post a notice about the Galaxy Ball, a charitable event for the support of the Down Syndrome Association of Los Angeles. The Galaxy Ball is hosted by Robert Beltran and features several other renowned guests. Please spare a few moments and go to their web page for further information. My site has received the monthly Outstanding Trek Site Award. Thanks a lot to Matthias! Thanks to the Omega Lcars Database for their Silver Award. The winner of the Ex Astris Excellentia Award for October 1999 is LCARS: Federation Databank. Congratulations! I have sorted my ship designs by eras and created the new Bernd's Fleet Yards index page. Six more ship designs have been added, that's all for now. I don't think I will be able to draw more ships in the near future, but maybe I will improve some of the existing drawings by adding more details. I'm planning to make one or two size comparison charts for my ship designs. Some links have been changed too. I have won the Legion of Honour Award, the highest rank of the Starfleet Honour Awards. Thank you very much to the jury! Thanks to Trekmac for awarding me the Real Trek Award. There are still more updates on the BoP page. Two new awards and a couple of changes on the links page. Although online for only a few days, the pages on the BoP and Kazon ship sizes have already been updated. More images are on the way. The two versions of the Ambassador class are described on a preliminary page, illustrated with several photos of the studio miniatures. This page will be extended so as to provide a complete Ambassador-class modeling reference. A new page with fun. Big update! There are four new starship articles. Several other pages have been slightly modified or corrected. The decision for the Ex Astris Excellentia Award is made. Finally. Congratulations to Star Trek Dimension! ASDB section updated with a number of new ship designs, some modifications and corrections. I hope I can finish several new features within the next few days. Important notice: This server will probably be down for a couple of hours on September, 11th. I'd like to remind everyone that it's Star Trek Day this week. Unfortunately I will be gone for a few days, so I can't put up the planned new features, including three or four new ship articles. The decision for the EAE Award winner and an ASDB update are due too, I will try to get them online next week. Site redesign finished, including a new logo. The small Akira image in the upper right corner of every page will serve as a place-holder until individual illustrations for the single sections are available. I support the idea of a Star Trek Day. Go to Captain.net for further details. As a first step toward a new look for my site I have changed the color scheme. Thanks to Captain Picard for awarding me his Gold Award. The ASDB section is updated with three new ship designs. I have scanned a schematic of the Sovereign class from the Fact Files and corrected its major errors, so this one is far better than the small image from the Encyclopedia. Thanks to Starbase 147 for their Gold Award. My site has received the LCARS Databank Award and the Personal Award from Ambassador Spock. Thank you very much! The links have been updated. You may have noticed that some images from Tripod servers don't load on non-Tripod pages, for instance on my webring page. It seems they are going the same way as recently XOOM. I hope the respective webmasters can fix it or change their provider. New shuttle size chart online. Furthermore the ASDB section has been updated and split into five pages for the sake of faster loading times. Some new ship schematics in the ASDB section. Furthermore I have found new evidence on the Insurrection inconsistencies. Please direct all e-mail requests to nx-74205@gmx.net. I hope this will work better. The Ex Astris Excellentia Award for August 1999 goes to Maximum Defiant. Congratulations! I am hosting the preliminary homepage of a project yakaspat recently suggested in startrek.expertforum.ricksternbach. The ASDB is a group dedicated to conceive designs for the starship classes that have been mentioned but never shown. Added a page with some general considerations on starship sizes. Our local network administrator found a lot of e-mails that got stuck on our server. I apologize to all those who tried to reach me, but didn't get a reply. I usually reply to each single e-mail within a few days, unless it's spam or really silly. I also found Aida's message that I have won her Galaxy Leadership Award in early June. A delayed but cordial thank you! My site has received the Final Frontier Award, which I am very proud of. Thank you, Ken! Added some small images to illustrate the movie reviews. Movie reviews finished. Some pictures are on their way. My site is featured at Main Engineering. Thank you! I have updated the links, and perhaps most interesting, the Starship Schematic Database is back. Not being content with the TOS pages I have added small images to illustrate each single episode. The movie reviews will follow within the next few days. The new pages with a TOS episode guide and review are ready. They still need some fine tuning, and I wonder if I should display a small image of each episode. Anyway, I will rather complete the movie reviews first. I have replaced my schematic of the T'Pau with a new one from the Fact Files, and I no longer believe it's an Apollo-class ship. The TOS and movie reviews are almost finished and will be up this week. 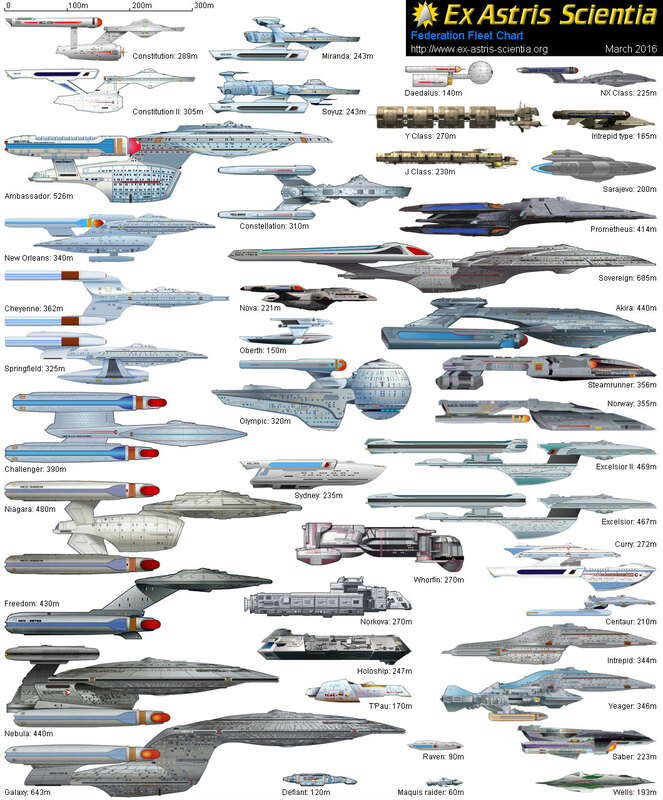 Furthermore I have compiled a size chart of alien ships. A comparison chart of small vessels and shuttles is being prepared. Thank you very much to Science Lab A for awarding me the Excellent! Award. I have rearranged the inconsistencies section and added a new index of starship articles that will hopefully grow continuously. I'm also working on a complete episode guide and review, but it will take several weeks. Maybe I can put up the movies and TOS sections next week. Thanks a lot to Elim Garak for rating my site "Prometheus" (5 out of 5 pips). The new page with scans of ship schematics is finally ready. Click and enjoy. The Ex Astris Excellentia Award for July 1999 goes to Daystrom Institute Technical Library. The color scheme of tables and followed links has been changed to pale turquoise green. The new scans are on their way. I will need a few more days. I have received the Starfleet LCARS Database Network Award. Thank you very much! Ex Astris Scientia has won Guinan's Bar and Grille Best of the Web Award. Thanks a lot to Guinan! I'm currently scanning and preparing some more ship schematics from the Fact Files and will put them up in a few days. Added new links and made some changes to the starship list. 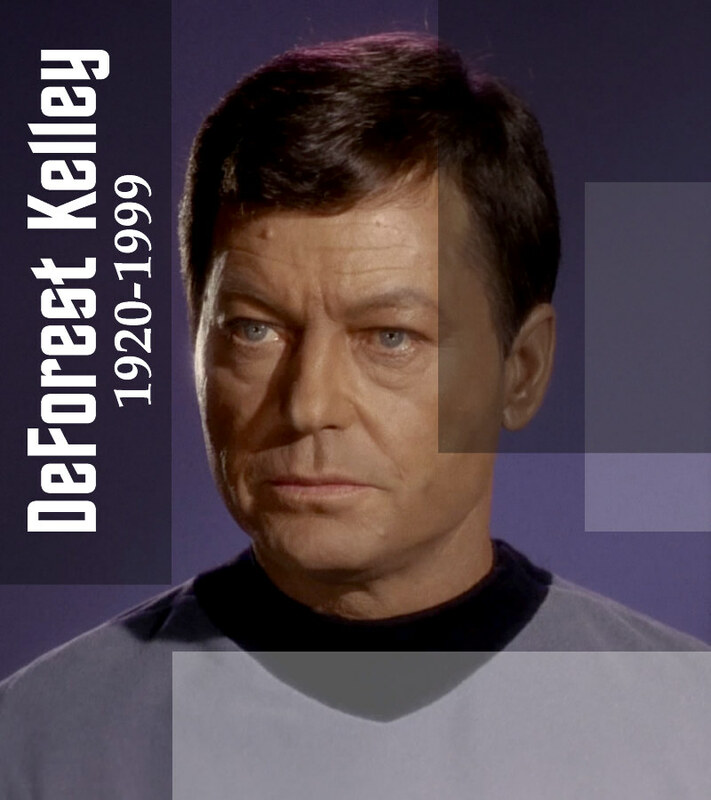 DeForest Kelley 20.01.1920 - 11.06.1999. The Heart of Star Trek has passed away. Good bye, Bones. The new fleet chart (caution: 1060*1060 pixels) allows a size comparison of all types of Federation ships whose sizes are known or can be estimated. The color scheme has been modified and all yellow (RGB 255,255,0) formats replaced with orange (RGB 255, 208,0). The first Ex Astris Excellentia Award goes to Medical Log: Supplemental. I have redesigned the index page and put up a new page for the Ex Astris Excellentia Award. I have won the Trek Ladies Gold Award. Thanks a lot! Read about the New Orleans class starship reconstruction on a new page. 6 more starship designs online. Comments are welcome. Added a lot of new entries to the Treknology glossary part 1 and part 2.
Review of VOY: "Timeless" added. A schematic of the (U)SS Raven is available. I have added new links and updated some of the other pages. Being extremely obstinate when it comes to the appearance of my pages, I have withdrawn my site from the Millennial Trek Award, since it would have required to place a banner on my index page. I'm currently preparing six new starship designs. Come back next week to see them. Compiled some tips for starship modeling on a separate page. Added new links and made some minor modifications. I am proud to announce my site has been awarded the renowned Vision of Trek Gold Award. There are also two major additions. First, there is a new page describing how to build the AMT/Ertl Enterprise-C kit. I will take some images of the finished model, as soon someone dares to borrow me their camera. Second, I have put up a page with some guidelines for "good" starship design. Ex Astris Scientia has received the FSD Best Trek Site of the Month Award and the LCARS "Site to Visit" Award (see award page). I had to rename my Nova class, since the new ship in the Voyager episode "Equinox" is presumably of this class. My design is now called Neptune class and the design history has been changed accordingly. Furthermore, there are some additions and corrections to the official starship list. Links updated, applied for membership in Craig's Star Trek Class Ships Ring and made some small modifications. Added a page for the Millennial Trek Award banner. I have added some new links. The starship list has been updated and diagrams of the Federation scout and the holoship from "Star Trek: Insurrection" are available. The promised new pages with various ship schematics are online. Enjoy. I have made a few minor updates and added an FAQ page. A new section with scanned ship schematics including many interesting "Alien-of-the-week" ships will be available within the next days. I am currently cleaning up the images scanned from the Star Trek Fact Files, removing all the annoying comments like "This is a warp nacelle", lines and boxes. You find the preliminary scans here, be sure that the final versions will look much better, and the page will have thumbnails. Ships of unknown classes are listed. A page with other (civilian) Federation ship classes is online. Ships of unknown classes will be added soon. Added some links, removed some others. The starship list now features a schematic of the Niagara class. I know it's ugly, but it's canon. Read about the Cheyenne-class starship reconstruction on a new page. Added the Star Trek: Insurrection inconsistencies and made some changes to the links. A page about the Cheyenne class is currently being prepared. Besides the usual small updates, I have redrawn some "real" starship diagrams, namely the Cheyenne, New Orleans and Sydney to better match their prototypes. I have added a few links and made some minor modifications. Some schematics of Starfleet ships have been replaced by better ones. I have made some small additions and updated the links. Ex Astris Scientia has been chosen Featured Site of the Month on The Array. The new site map provides a complete overview of the more than 70 HTML pages of this website. 6 more starship designs are online. My Star Trek Website is online for one year. Starting with just a few topics (inconsistencies, new starship designs, Enterprise-E, fun and links), I think it is a fine resource site by now. Thank you to all my visitors, in particular to those who frequently return. I will continue extending and updating the site in the future. The seventh page with conjectural starships is currently being prepared. The starship list now includes the Peregrine class and Whorfin classes. It was about time to update the links. A new page with inconsistencies is online and will be frequently supplemented. Updated the inconsistencies page. New features are currently being prepared for the upcoming 1st anniversary of my website.